Audio 2 DJ, Audio Interface for DJ from Native Instruments. Native Instruments announced that Audio 2 DJ is now available in stores worldwide. Audio 2 DJ is described as the world's smallest USB audio interface for DJs. 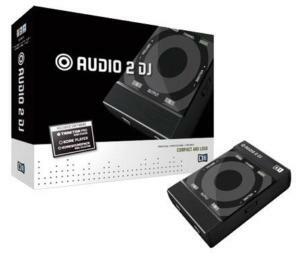 It is said to deliver the same audio quality and performance as the Audio 8 DJ and Audio 4 DJ interfaces that are used by professional club DJs worldwide. The Audio 2 DJ offers users of Traktor and other DJ software "a balance of quality, size and price," according to Native Instruments. Audio 2 DJ is said to accommodate the most demanding club systems due to its studio-grade converters and its special high-power output amplifiers. The dual stereo outputs of the interface provide the necessary connectivity to route two decks separately into an external DJ mixer, or to output independent master and cue signals when mixing in software. 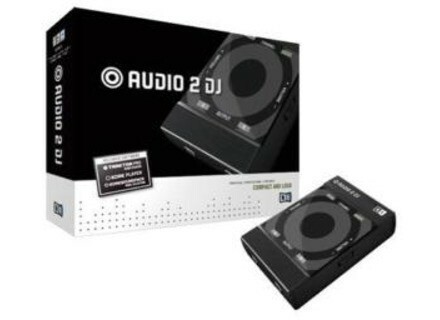 Audio 2 DJ is available for a suggested retail price of $119 / 99 EUR at authorized dealers and in the NI Online Shop. More information on Audio 2 DJ including audio and video demos can be found at www.native-instruments.com/audio2dj.info. Allen & Heath Ships the Xone:22 Allen & Heath is now shipping its new Xone:22, a 2-channel analog DJ mixer designed to offer "high quality audio and a professional feature set" at a $399 US MAP price.